Hi there friends! 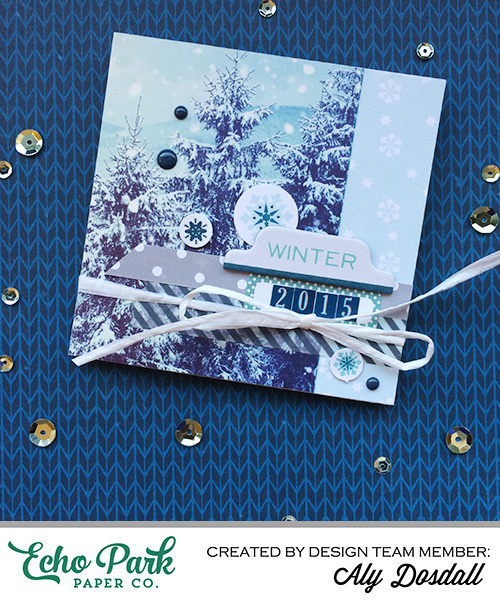 I'm back today sharing an easy winter themed mini album I created using the Hello Winter collection from Echo Park Paper. Last year we had a White Christmas family snowball fight, and I wanted to celebrate the memory of that fun day. 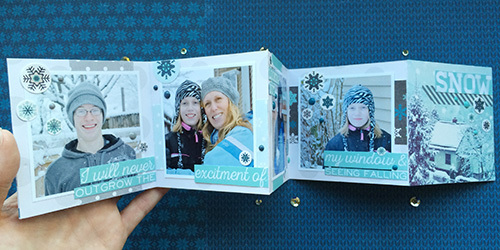 A simple accordion fold 4x4 mini album seemed to be the perfect way to do it! The base of my mini album is a long scrap of decorative poster board that I trimmed down to 4"x20”, and then scored at every 4” to create a 4”x4” accordion fold book. I used some of the journaling cards for the front and back covers, and then added some of the coordinating chipboard stickers, cardstock stickers, washi tape, ephemera, and enamel dots to embellish. The inside pages are simple, leaving the focus on the photos. 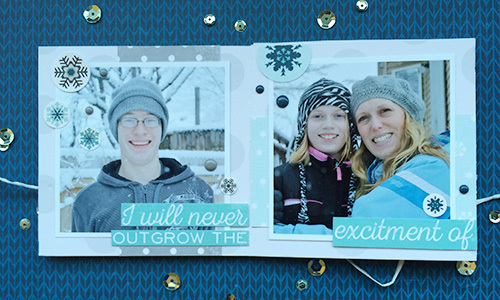 I trimmed a 2” x 4” patterned paper strip and layered one behind each photo. 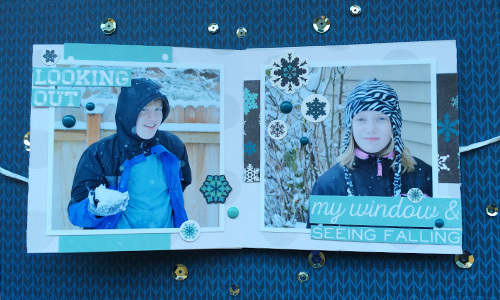 Then I cut apart a quote from one of the journaling cards into strips and added them to each of the photos, along with some small snowflake stickers, ephemera, and enamel dots. This type of mini album is quick and easy to create, and is also a great way to celebrate photos and memories from special moments. Are you a fan of making mini albums? What’s your favorite kind to make?